.... Hillary Mantel is a very talented, very bitter ex-Catholic who’s said that the Church today is “not an institution for respectable people”.... As she freely concedes, Mantel’s aim in her novel was to take down the Thomas More of A Man for All Seasons—the Thomas More the Catholic Church canonized—and her instrument for doing so is More’s rival in the court of Henry VIII, Thomas Cromwell. 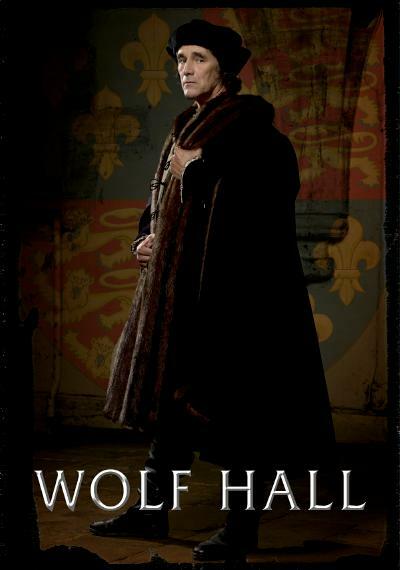 Wolf Hall—which, incidentally, has great production values and wonderful performances, especially by Damian Lewis as Henry VIII—inverts the conventional portrayal of the Henrician Reformation. Most past film and television versions, even those sympathetic to Henry, show More as a kind of hero, a noble, if misguided, martyr for freedom of conscience. In Mantel’s version, by contrast, it’s Cromwell, the supporter of state orthodoxy and More’s tormentor, who is the hero. And More, the man who resisted the state from religious conviction, is the unalloyed villain. Now, More was a more complicated figure than widely understood. Even saints have failings. He may have been, as Swift famously wrote, “a person of the greatest virtue this kingdom ever produced,” but, as chancellor, he persecuted Protestants and approved burning heretics at the stake. Mantel’s portrayal goes beyond offering a helpful corrective to the conventional wisdom, though. Her More is not deeper or truer to the historical record. He is simply evil, a nasty piece of work—cold, fanatical, and sadistic. What George Weigel...calls “upmarket anti-Catholicism” is, in my view, simply a failure of historical imagination. Hilary Mantel could only present an admirable Thomas Cromwell by assuming, or pretending, that he’s a lot like people in her social circle: tolerant, skeptical, indulgently affectionate towards children, fond of animals, shy of violence — a typical 21st-century educated Londoner who was inexplicably born half a millennium too early. Having created Cromwell in her own image, Mantel then makes him the proxy for her own inability to make sense of someone like Thomas More. I will continue to enjoy this well-done television drama keeping in mind that it isn't history. A restored, Blu-ray, DVD of A Man for All Seasons (1966) will become available later this year and as soon as it is possible I will buy one. It is one of my favorite films. It isn't history either.